It was great getting together with everyone this month for Stamp Club. There were a few new girls that joined us. 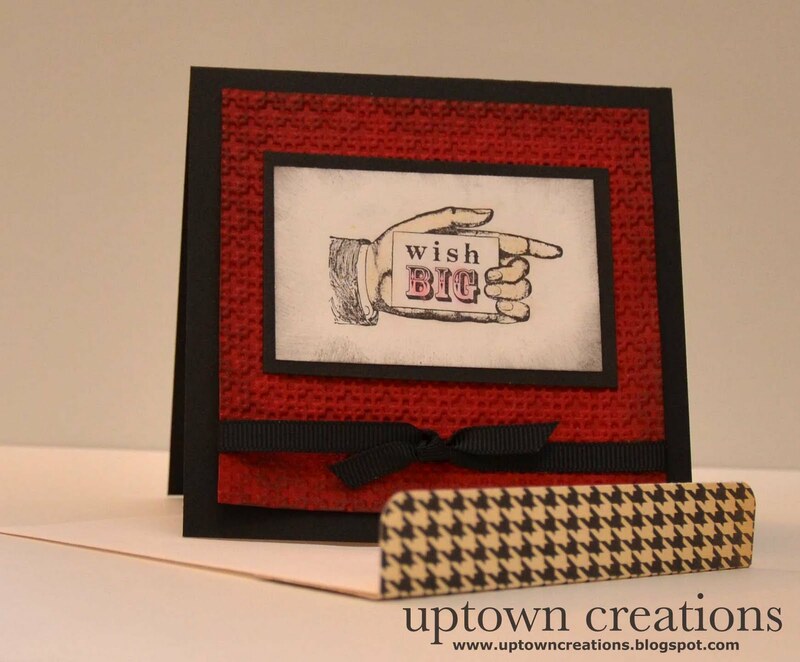 It was great meeting you and look forward to you joining us for another crafty event. Here are the cards we made. 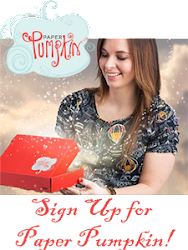 If you have any questions on the stamping techniques or the supplies please email me! 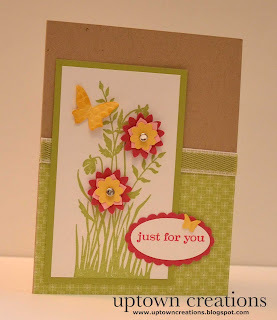 This card was made using the stamp set called Bring on the Cake found in the Occasions Mini Catalog. 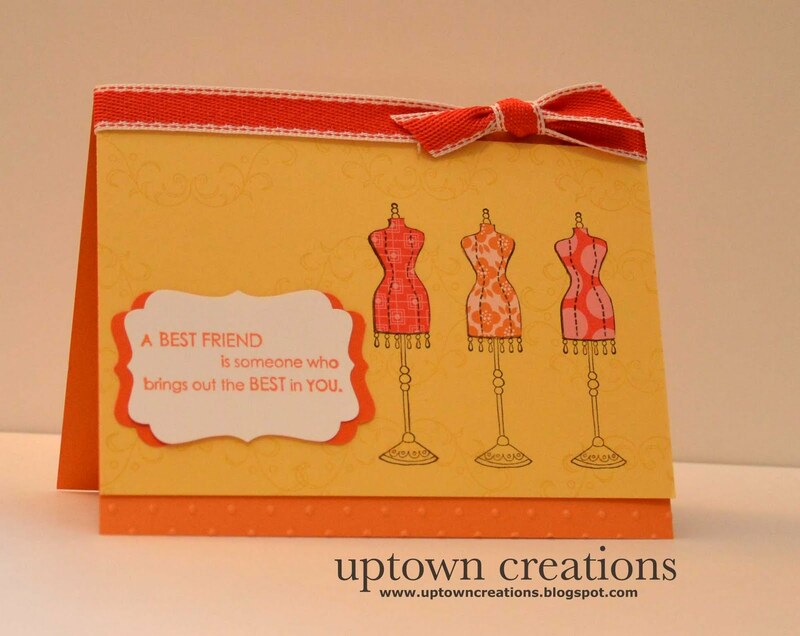 For this card we made a matching 4x4 envelope. 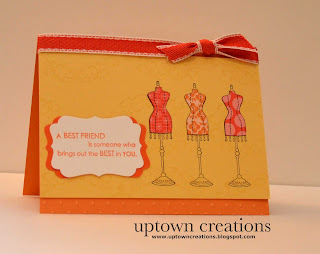 This card was made using the stamp set called Chick Boutique. One of my favorites for sure. We did the paper piecing technique for the dresses. 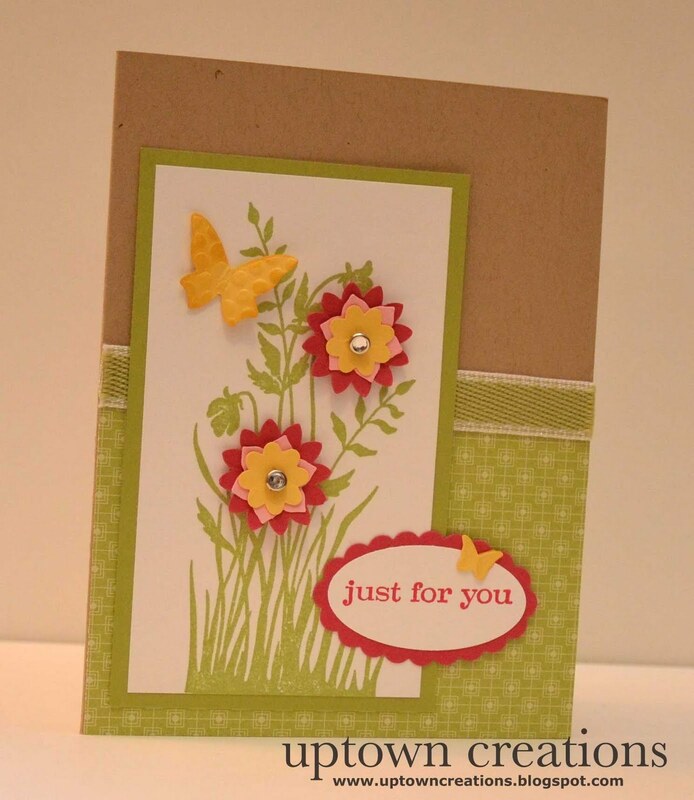 This card was made using the Just Believe stamp set. 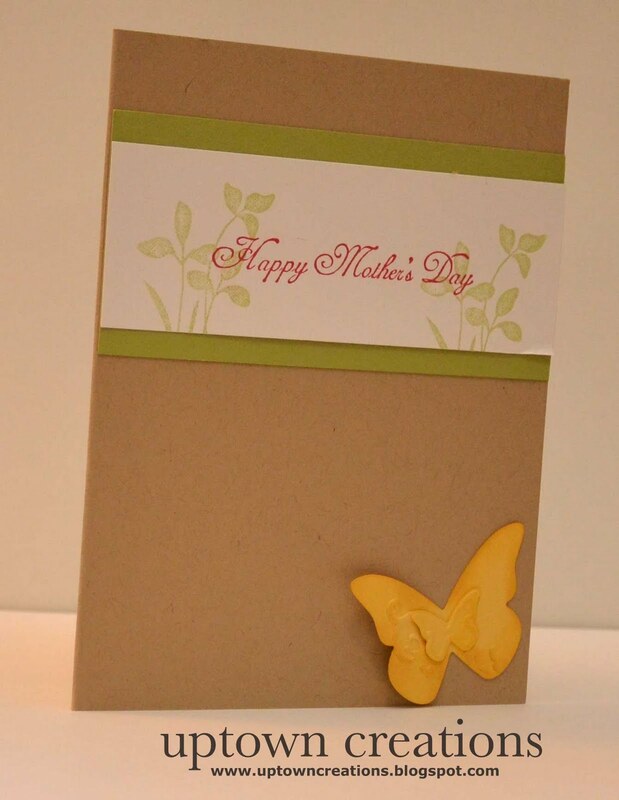 Its a great set for all occasions. 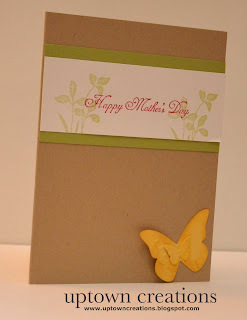 For the inside we stamped a Happy Mother's Day saying stamp from the Something to Celebrate stamp set. Hope you enjoyed this months cards. 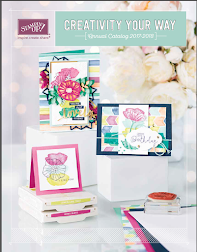 If you would like to join in on some card making fun please join us next month. The next Stamp Club will be Thursday, May 19th at 7 pm. 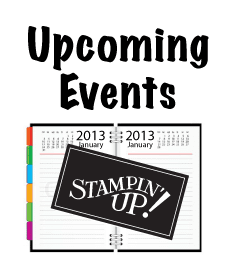 Click here is see my calendar of stamping events! Nice job Melissa!!! Graet variety of cards this month, love every one of them. 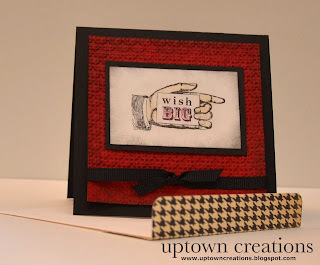 I KNOW your stamp clubbers are loving this!